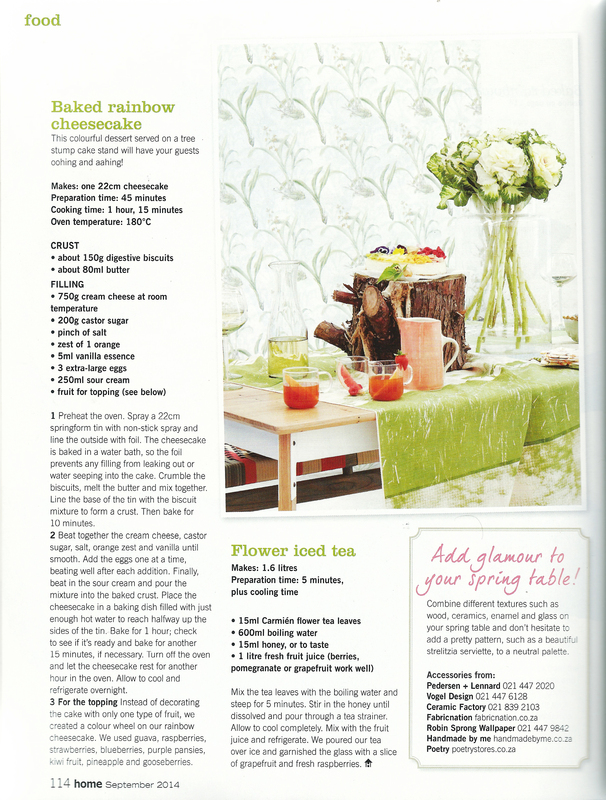 Spring has sprung and all kinds of floral motifs are in the air : ) We specially liked this one from Livingspace magazine featuring their Ed’s Choice. This is our favourite time of the year and we can’t wait for the warmer weather to arrive. And along with it, all the beautiful plants and flowers that we are so inspired by! 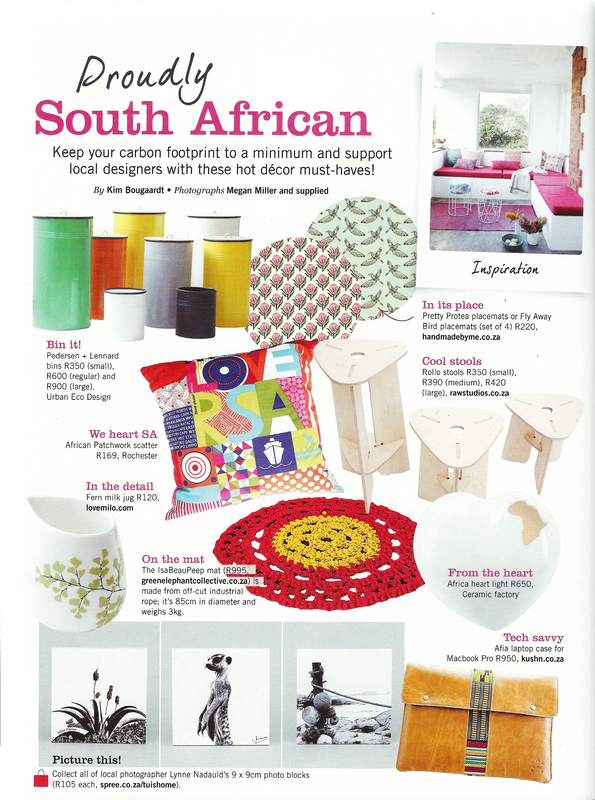 You can also check out Visi magazine’s top 11 Spring Essentials. Spring is a time for rebirth, and if you’re ready for a breath of fresh air, you can have a look at some of the newest products we have added to our Biotica range lately. Our soft 100% cotton muslin baby blanket swaddles and burp cloth/bandana bibs are now available in our two Foliage colour ways. And our table runners are now available in both Foliage colour ways as well as our Blue Willow Pattern. If you are looking for inspiration you can also have a look at how some of our happy customers have styled their own photos of our products. We’d love to see what you do with our things, so please feel free to share your home or DIY inspiration with us, or tag us on Instagram. And while have been having a rather quiet time over the winter months, it is so great to see some others have been very busy at it. The CDI (Craft & Design Institute), along with their new name because they are now a national enterprise, have just launched their new Design Directory 2017-2018. 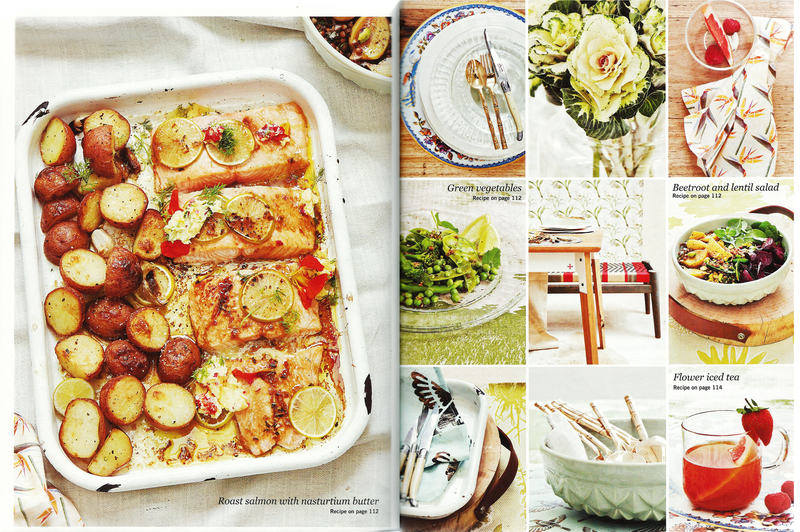 We were so happy to see ourselves included, and in such a big spread, alongside such a wealth of national talent. We are delighted to let you know that we have a few copies of the Design Directory on sale at the Handmade By Me + Windowsill shop if you are interested. They are R290 each. You can also order a copy online here. Double love for us from Sunday Times‘ Home’s Ed’s Picks this month with different products being selected for two issues in a row : ) Firstly our Foliage on Green cushion cover and then our Prickly Pears hotel slippers. 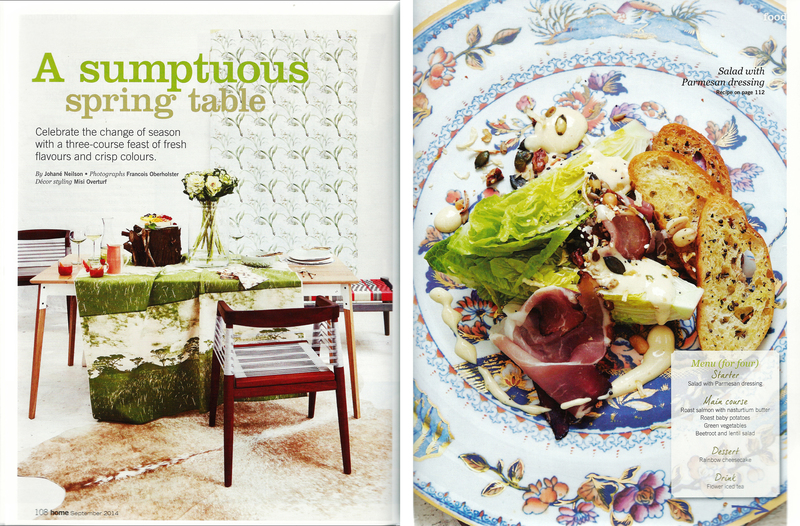 Sarie magazine featured our Foliage on Pink wallpaper. 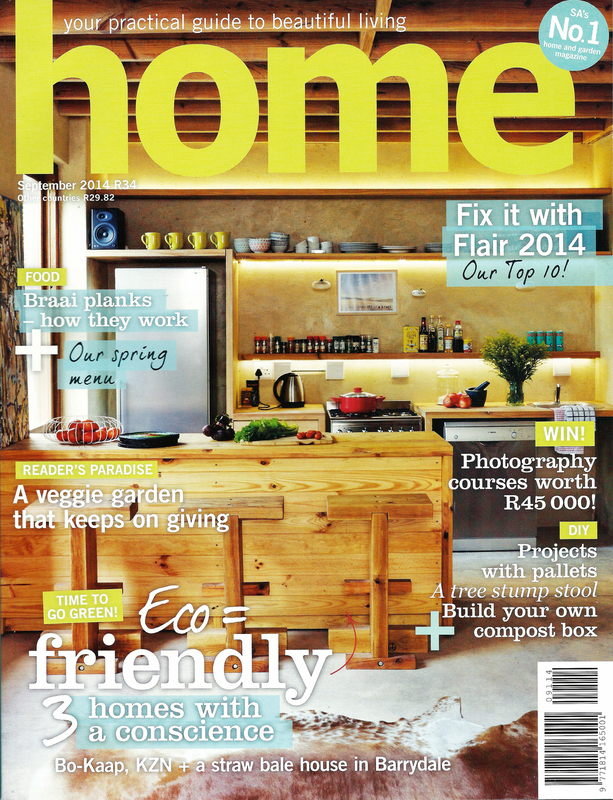 And Home Magazine showed us how to breathe life into our décor using scatter cushions. 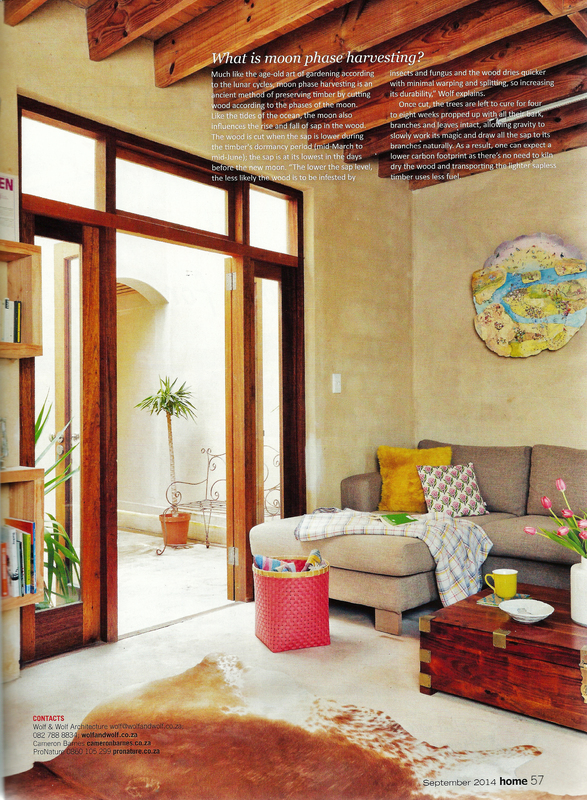 This wasn’t actually a product feature (below), but how cool was it to discover our Pretty Proteas cushion sitting all comfy on the couch of this beautiful sustainable house in Bo-Kaap!